Available from 2018-09-01. 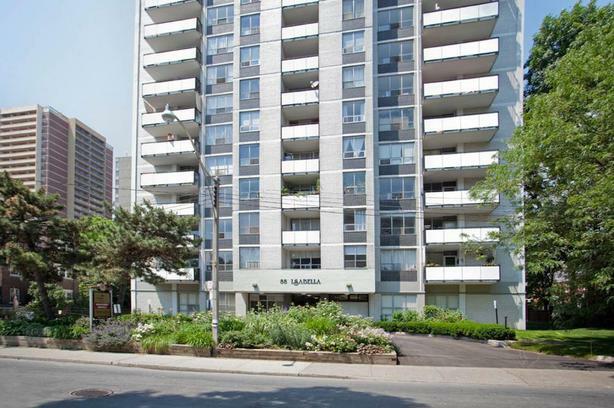 Cute 1 bedroom for $1930.00 a month in Toronto Located in the middle of downtown, these quiet and charming apartments for rent in Toronto are just steps away from fashionable locations like Yorkville and Bloor Street designer stores. Located at Jarvis & Bloor and boasting Walk Score in the city at 99 and Transit Score of 96 you'll be walking distance to everything: theatres, stores, schools, Ryerson and University of Toronto. Our personable and helpful staff at Isabella Apartments would be happy to show you around the building and answer any questions you may have about the area.Water includedHeat includedElectricity not includedWalk Score of 99: located just steps away from the vibrant core of downtown Toronto Transit Score of 96: 5 minutes walk to Yonge/Bloor subway, additional Subway Stations: Wellesley Station and Shebourne, just 10 mins walk5 minute drive to Gardiner Expressway / DVP Steps to shopping, restaurants Grocery shopping in the area: No Frills, Dominion, Hasty Market, Rabba Fine Foods10 min walk to Loblaws, Joe Fresh and LCBOThe Bay shopping centre at Yonge & Bloor Schools and daycares in the areaFinancial Institutions: ScotiaBank, CIBC, RBC Royal Bank, TD Canada Trust, Bank of MontrealDog FriendlyCat FriendlyParkingLaundry FacilitiesElevatorOpen, vast living areas with dishwashers (in some suites), large closets and ready for cable installation Private balconies Suite mail delivery Wood and tiled floors Beautifully landscaped grounds Underground and outdoor parking available Controlled access entry as well as on-site professional and welcoming staff Lockers available Debit and online rental payments available. Contact us at 4169200251 for more information.